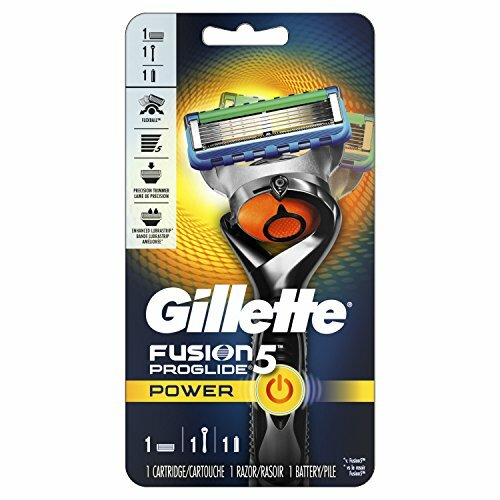 Gillette Fusion5 ProGlide Power razors for men feature 5 anti-friction blades. With FlexBall technology, it responds to contours and gets virtually every hair. The Precision Trimmer on the back is great for hard-to-reach areas and styling facial hair. One razor blade refill equals up to one month of shaves. Fusion5 Proglide men's razor fits all Fusion5 blade refills. Gillette razors, formerly called Fusion ProGlide Power.